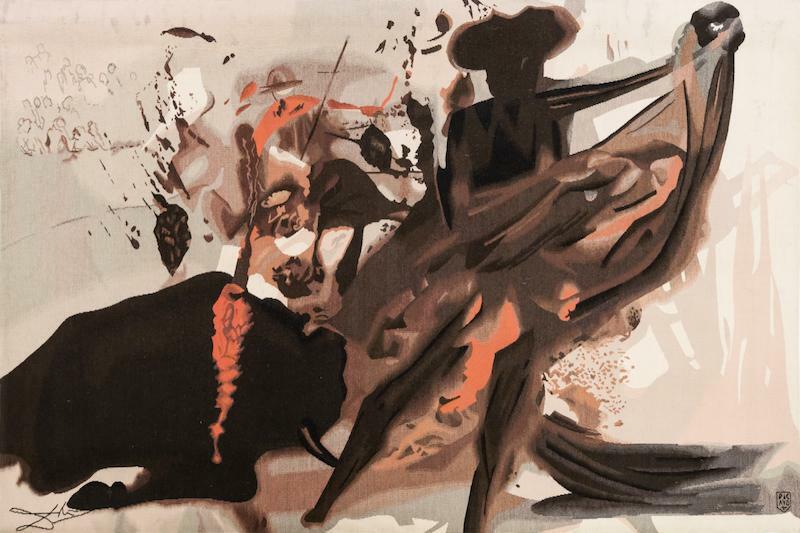 ACA Galleries in New York will present Salvador Dalí, a solo exhibition featuring selected etchings, Aubusson tapestries and drawings from the Argillet Collection, from January 10 to March 9, 2019. 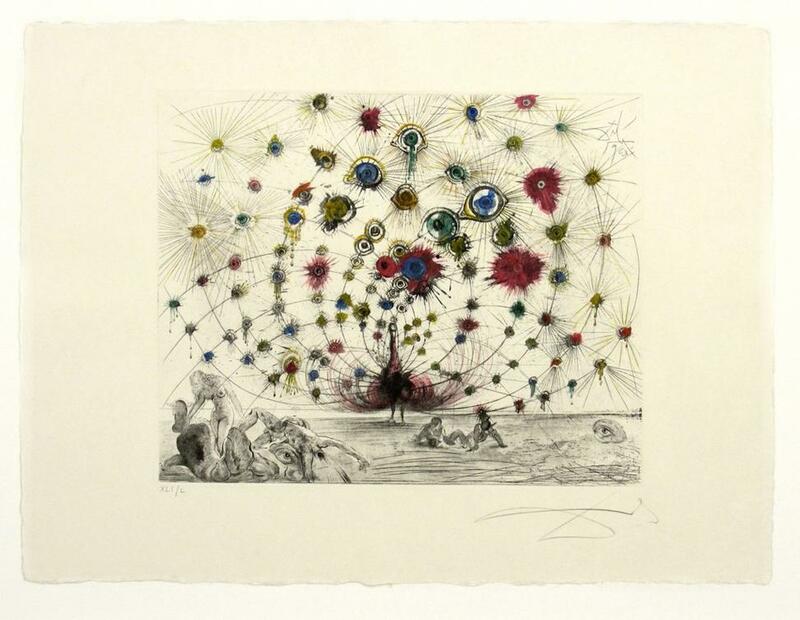 Dalí and Pierre Argillet began working together in 1959 and produced nearly 200 etchings over a 15 year period. They are noted for their attention to detail with wide-ranging themes such as mythology, Faust, bullfights, as well as the writings of Apollinaire, Chairman Mao, and Don Juan among others. The prints they produced during this fertile collaboration have been shown at museums throughout the world including Musée Boijmans, Rotterdam; Musée Pushkin, Moscow; Kunsthaus, Zurich; Staatsgalerie, Stuttgart; Isetan Museum of Art, Tokyo; and Daimaru Art Museum, Osaka, among others. Salvador Dalí was a Spanish painter, sculptor, graphic artist and designer who joined the Surrealist movement in 1929. One of the most legendary and eccentric of the group, Dalí formulated the methodology of Critical Paranoia which encouraged artists to unlock their subconscious. He lived in the United States from 1940 – 1955 before returning to Spain. There are two art museums dedicated to Dalí: one in Figueras, Spain and the other in St. Petersburg, Florida. Salvador Dalí (b. 1904 – 1989) is regarded as one of the most iconic artists of the 20th century and with good reason. His art was multi-faceted and trailblazing and his personal life was riddled with unlikely twists. From being expelled from art school (twice) to his little-known collaboration with Chupa Chups lollipops (the logo he designed for them in 1969 is still used to this day), Dalí’s life has proven to be rich with both stories and masterworks that still capture a modern audience’s imagination. In fact, Dalí even experienced such fame during his own lifetime that he often treated large groups of friends to dinner by settling the check with a drawing on the reverse—knowing that even a small doodle by his hand would likely prevent the check from ever being cashed. This degree of fame was not accidental. Dalí was arguably the first modern artist to cultivate a personal brand in any contemporary sense and his talent for doing so proved remarkably skillful. Dalí displayed a natural knack for courting controversy and intrigue. He once duped Yoko Ono into buying a single strand of his moustache for $10,000 dollars that was, in fact, a dried blade of grass from a nearby park. It was anecdotes like this which endeared him to the fashionable set of Café Society in Europe in the 1950s. Yet perhaps the most enduring story of Dalí’s life—and most closely tangled up with the genre-defining art he produced—is the story of his love affair with neé Elena Ivanovna Diakonova, styled more commonly by the single name: Gala. Salvador Dalí was not Gala’s first love affair with a famous Surrealist artist, nor would he be her last. When Dalí met his future wife, muse, and business manager she was already married. Her husband, Paul Éluard—a French poet and founding member of André Breton’s original Surrealism movement—had met Gala when they were seventeen and convalescing at the same sanitorium in Switzerland. They married shortly before Éluard left to fight in World War I and afterwards moved to a suburb of Paris. It was at their house in Saint-Brice that the famous Surrealist painter Max Ernst would eventually relocate, leaving behind his wife and son to move in with Gala and Éluard and enter into a ménage-à-trois that would last three years, from 1924 to 1927. Two years later Gala met Dalí when he was visiting Paris, about to collaborate with Luis Bruñuel on Un Chien Andalou, the Surrealist film that would be Dalí’s first large-scale artistic success and launch his career—much of which Gala would oversee and steer. The connection between the two was instant and would endure the remainder of their lives despite their numerous affairs, unusual sexual arrangements, and periods of estrangement. Gala was ten years Dalí’s senior and the age difference enraged Dalí’s father who was already incensed by a particular work of Surrealist art in which Dalí included the inscription: “Sometimes, I spit for fun on my mother’s portrait.” Dalí’s relationship with his parents had always been fraught. His birth came just nine months after his older brother’s death, who was also named Salvador, and when Dalí was five-years-old his parents had taken him to his brother’s grave and explained that Dalí was a reincarnation of the child they had lost—an idea he continued to accept throughout his adult life. During the summers, Dalí painted at the villa. Many of his most influential works were created there, including the Persistence of Memory and his recurring motif of melted clocks. During the winters, Gala and Dalí travelled to Paris and New York, where Gala organized dinners, meetings, and balls with collectors, gallerists, and other artists who would prove to be essential to Dalí’s growth. As Dalí’s fame increased abroad, tension began to mount with Breton’s Surrealists, among whom Dalí had got his start. 1934—the same year during which Dalí and Gala were wed—saw both Dalí lauded by socialites in New York at a “Dalí Ball” and rebuked by his artistic contemporaries at a “Dalí Trial” organized by Breton himself in order to determine whether Dalí should be permitted to remain a member of the Surrealists. The group was becoming ever more communist in its sensibilities and Dalí was and would continue to remain apolitical throughout his life—often returning to Spain even during Franco’s dictatorship during when many of the cultural elite fled. In response to his trial, Dalí notoriously replied: “The difference between the Surrealists and I is, I myself am Surrealism.” And this was true. As Dalí became closer to Gala, he also drew closer to developing a style that put him farther away from the other members of Surrealism. Unlike many relationships between artists and their muses, that between Dalí and Gala would not expire as she grew older. Instead, Dalí went on to use Gala as a model for works well into her seventies and her name often appears in the titles of works in addition to her image. In 1968 he bought her a derelict castle in Pubol, Spain, where she would spend her retirement until her death and where Dalí, fascinatingly, was not allowed to visit without her explicit permission in writing. Dalí not only accepted the rules surrounding Gala, her privacy, and her young male lovers—many of them artists—he romanticized them, describing their arrangement as “the neurotic ceremony of courtly love.” However, Dalí was never more direct in his explanation of the role his love affair with Gala played in both his art and life than in his memoirs, rapturously titled The Secret Life of Salvador Dalí. In them, he compares her to Gravid, the title of a book by W. Jensen, the main character of which was Sigmund Freud, another significant influence in Dalí’s work. In the story, the character of Gravida brings psychological healing to Freud. Dalí describes her presence in his own world as such: “She was destined to be my Gravida, the one who moves forward, my victory, my wife.” And it is this love story that still captures the imaginations of Dalí admirers today. In a life so richly packed with intriguing detail, the narrative of Dalí and Gala—and both of their relationships to his art—stands out.